The important battle in an oppressed shareholder lawsuit most often is the battle of the valuation experts. And almost inevitably, the parties will litigate the minority discounts and discounts for lack of control that may or may not be applied to the minority interest. As we previously discussed here, business valuation in a shareholder dispute involving a closely held business is a thorny issue. The shareholders that remain in the closely held business scramble for discounts that reduce the minority’s interest and the departing shareholders try to avoid them as much as possible. 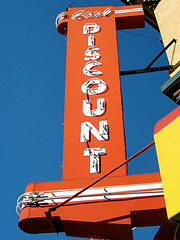 What are the rules for application of discounts? Well, there are some litigators who can’t help but smile when the say this, it depends.